When Kevin Kirkpatrick, a famous Hollywood make-up artist, is not busy on the set, he has a hobby of creating prosthetic models of cartoon characters. 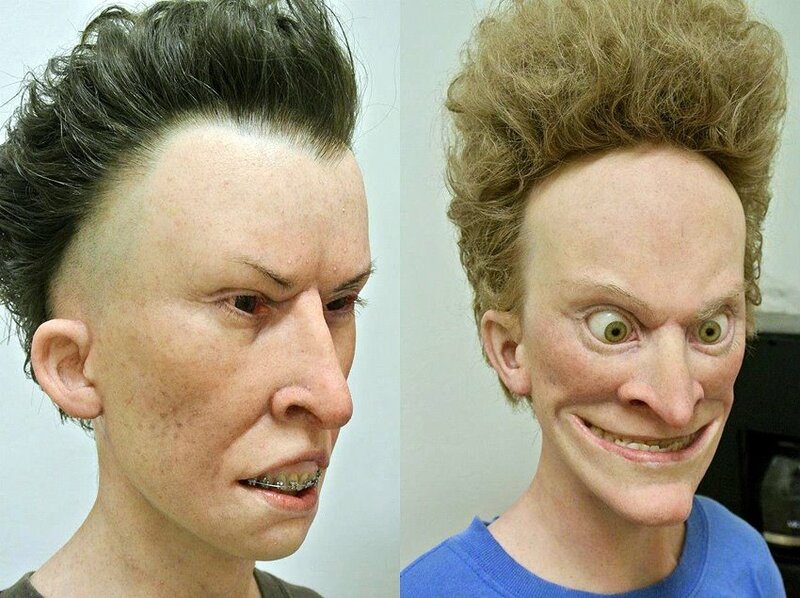 I find this picture of Beavis and Butthead to be very disturbing. Dear god that is disturbing. Isn’t it? I think Freddy Krueger is more cuddly than these two. Okay, glad this wasn’t the last thing I looked at before going to bed last night ..
As cartoon characters they’re comic caricatures. As prosthetic models they’re harbingers of the devil! Wow a true work of art!!!! Awesome!